The work of artist Richard Misrach hangs at the Frankel Gallery of San Francisco in Stage 5 of Paramount Studios, Photography by Samuel-Christophe Tedjasukmana. 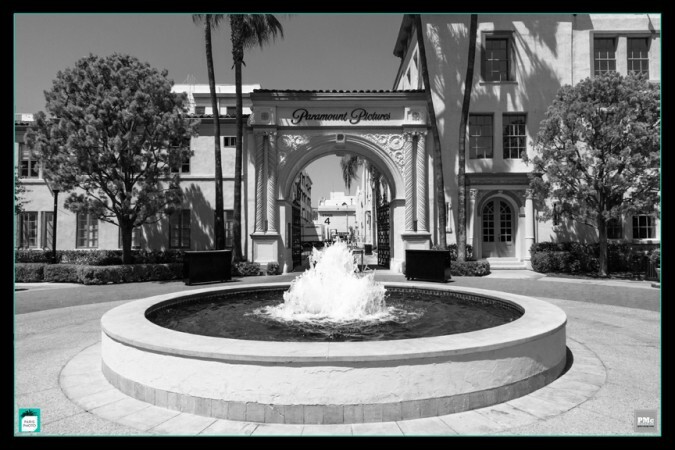 The Paramount Fountain near the Bronson Gate at Paramount Studios in Los Angeles, CA, Photography by Samuel-Christophe Tedjasukmana. 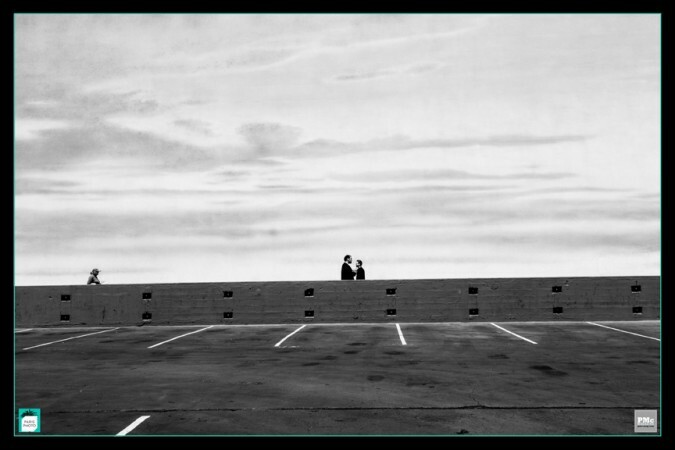 The Empty Parking lot also known as the Blue Sky Tank, is where Moses (played by Charlton Heston), parted the Red Sea in The Ten Commandments. 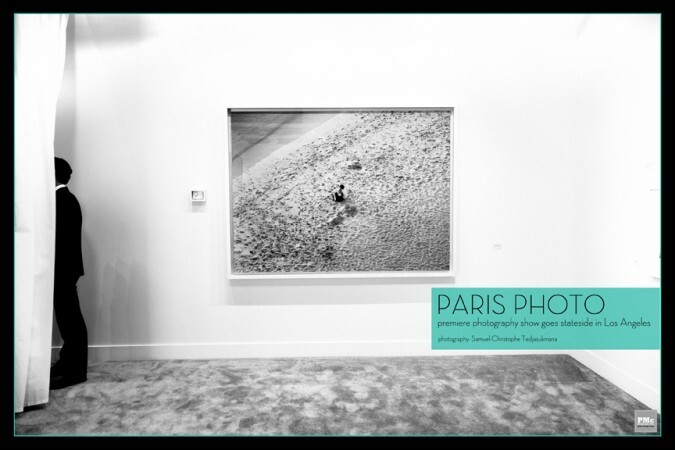 This year it was used as a backdrop for the VIP entrance to Paris photo, Photography by Samuel-Christophe Tedjasukmana. 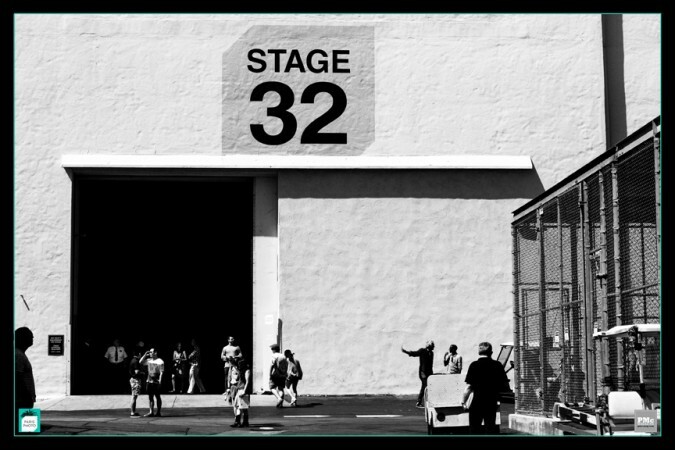 Stage 5′s side doors opened by staff member of Paramount Studios, Photography by Samuel-Christophe Tedjasukmana. 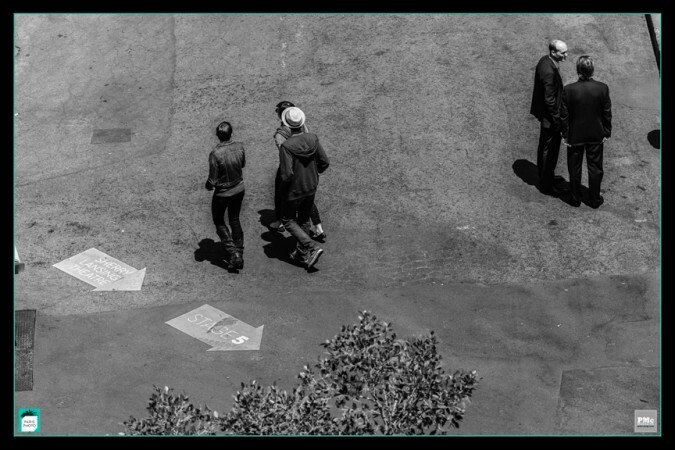 Visitors wander the backlot between several stages where over 75 International Galleries and publishers showcased premiere photography collections, Photography by Samuel-Christophe Tedjasukmana. Guests of Paris Photo wandered about several lots amongst employees, actors and visiting tourists, Photography by Samuel-Christophe Tedjasukmana. A guest captures a photographic moment with his camera on the set of Stage 5, Photography by Samuel-Christophe Tedjasukmana. 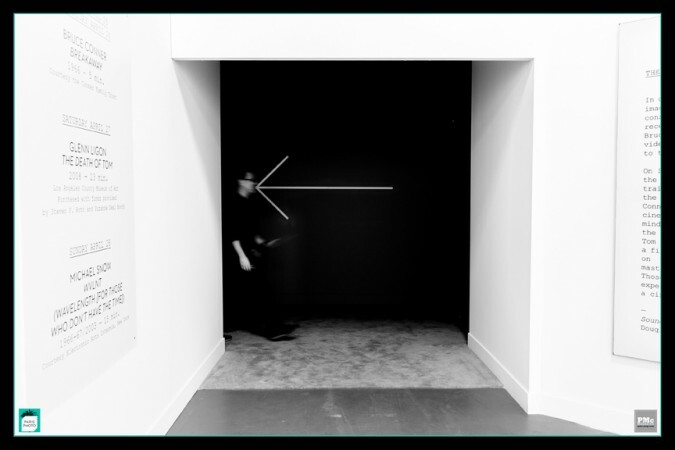 Numerous Artists presented presented works at the Sound and Vision Screenings at Paris Photo. 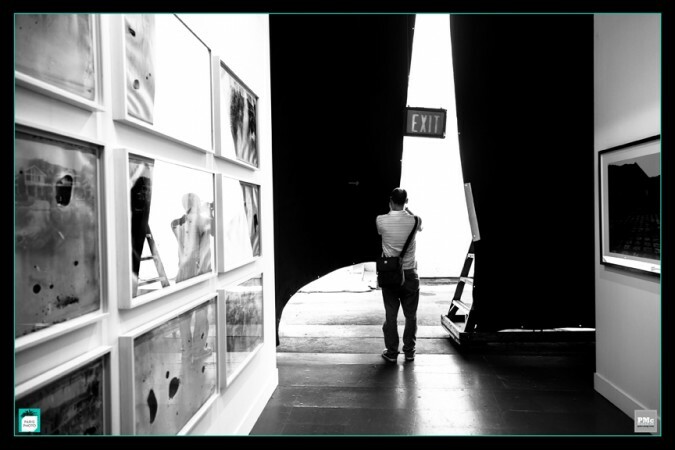 These free-wheeling discussions on image making practices and imagery usage in contemporary culture were curated by Douglas Fogle, Photography by Samuel-Christophe Tedjasukmana. 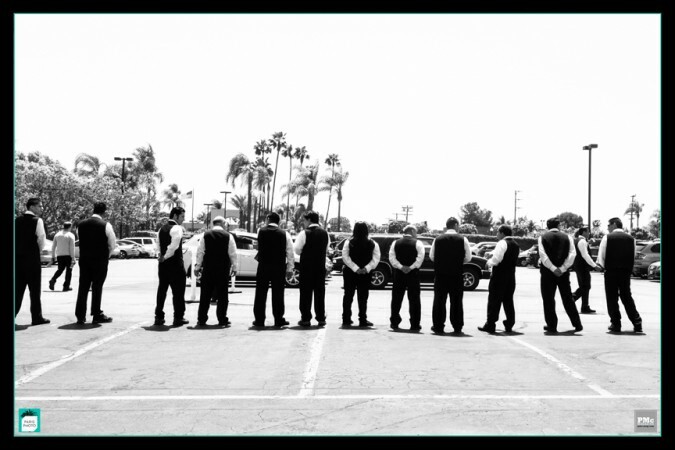 Valets car parking available to those seeking a “VIP treatment,” Photography by Samuel-Christophe Tedjasukmana. 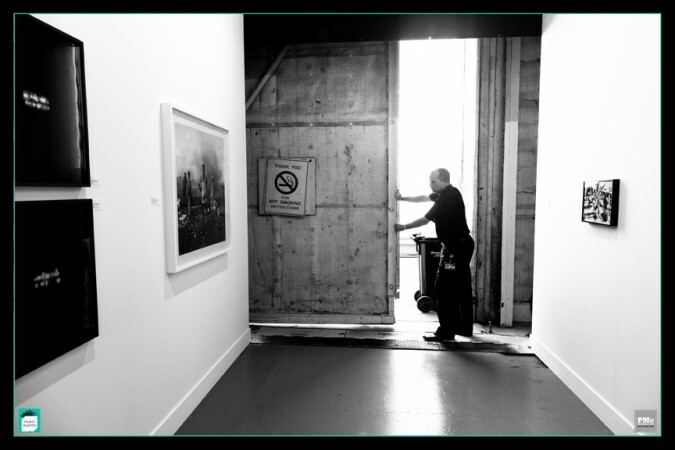 Bookstores and Publications set in the New York back lot of the studio allowed for visitors to peruse and finger through new and old works of many photographers, Photography by Samuel-Christophe Tedjasukmana. 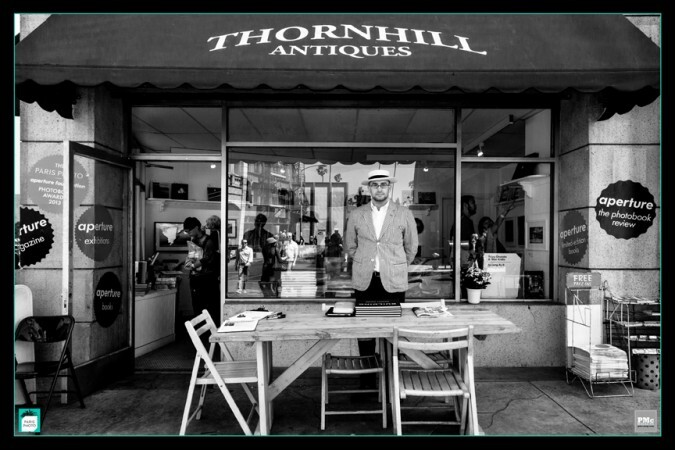 Tom Bianchi at the signing for his new D.A.P book Fire Island Pines, Polaroids 1975-1983., Photography by Samuel-Christophe Tedjasukmana. 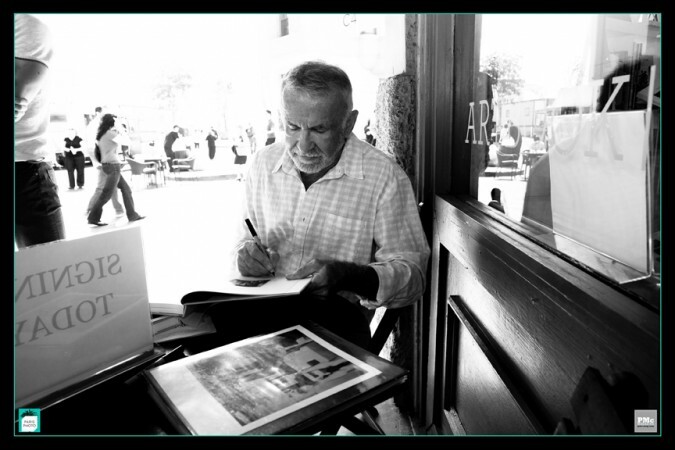 Barney Kulok, at the signing for his new Aperture Foundation book Building, Photography by Samuel-Christophe Tedjasukmana. 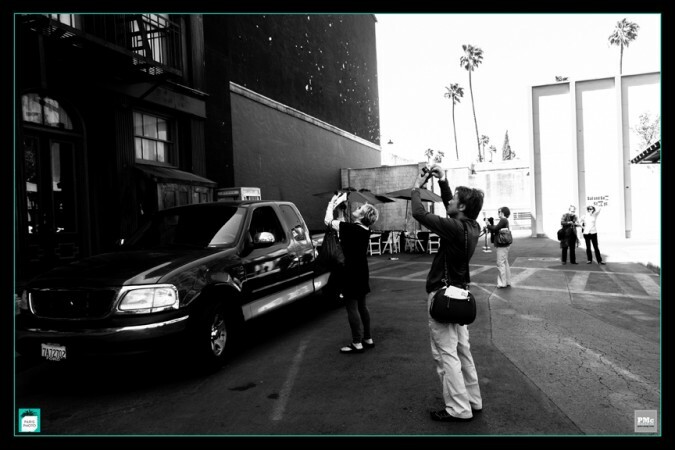 Several visitors on the New York back lot during Paris Photo, 2013, Photography by Samuel-Christophe Tedjasukmana. 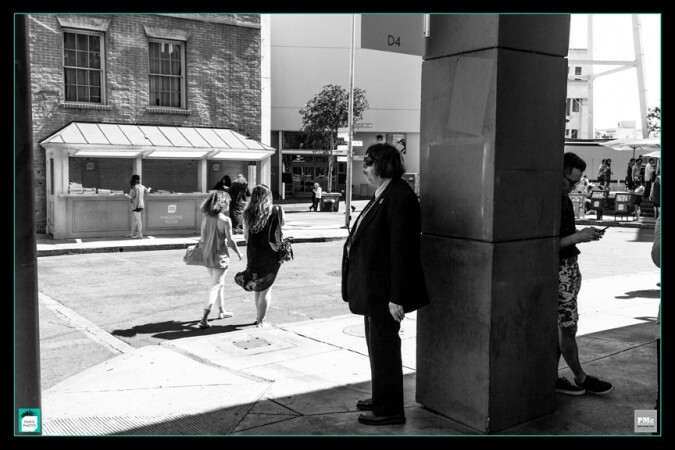 Finding solace in the shade while the sun shines in Los Angeles, Photography by Samuel-Christophe Tedjasukmana. 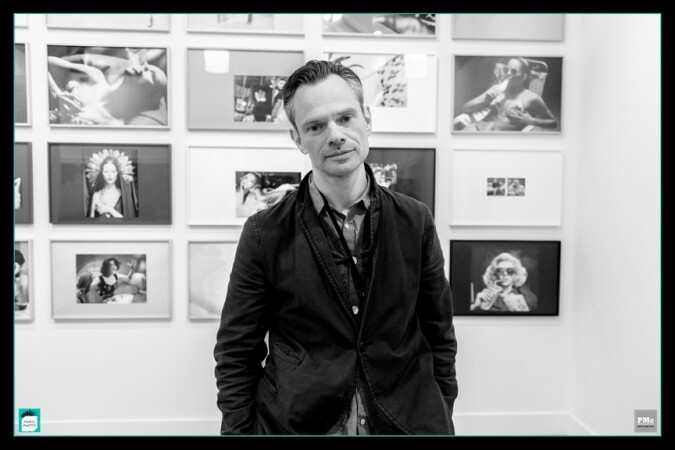 Artist Miles Aldridge stands before his work exhibited at the Brancolini Grimaldi Gallery space in Stage 5, Photography by Samuel-Christophe Tedjasukmana. 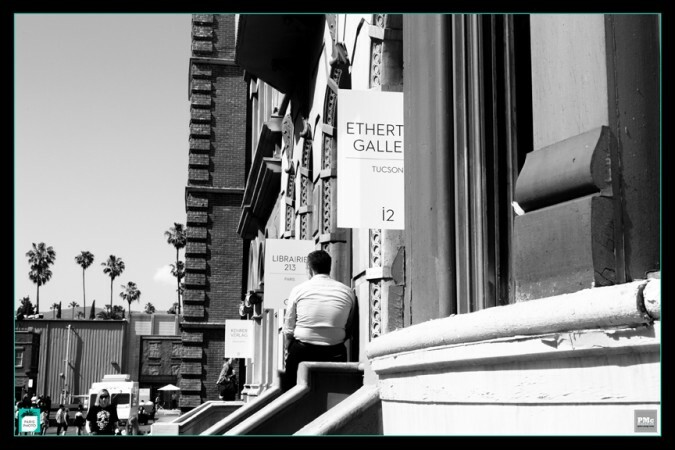 A man sitting on the steps of the Etherton Gallery’s entrance on the NY back lot, Photography by Samuel-Christophe Tedjasukmana. 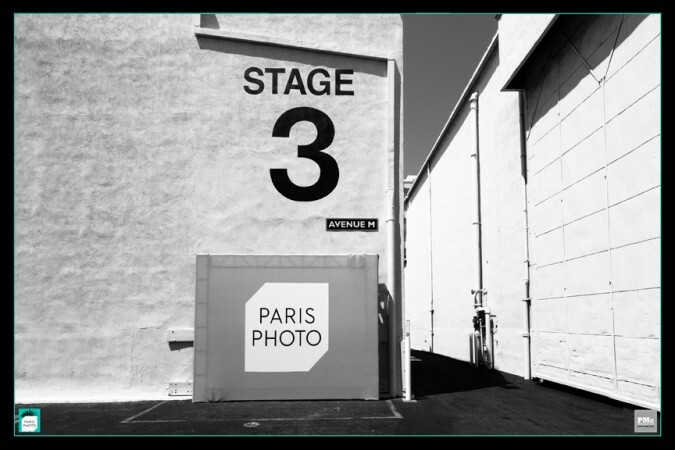 Stage 32, used in the production of the original Star Trek, King Kong, History of the World Part I and Polanski’s Citizen Kane, housed over 15 galleries during Paris Photo’s stateside premiere, Photography by Samuel-Christophe Tedjasukmana. 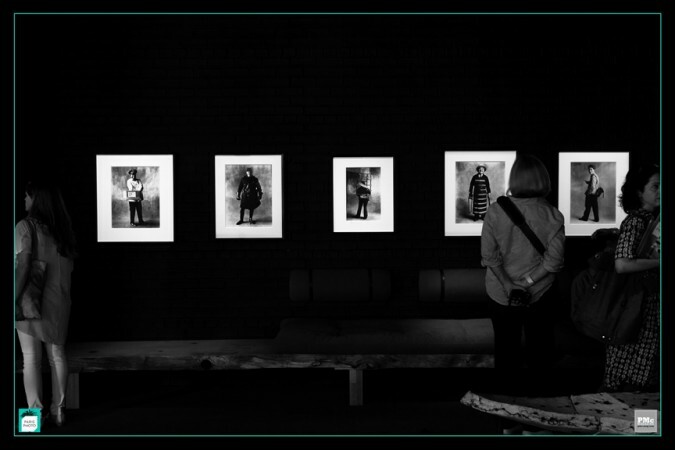 Visitors were able to glimpse at Irving Penn’s work at Hamilton’s of London in Stage 5, Photography by Samuel-Christophe Tedjasukmana. 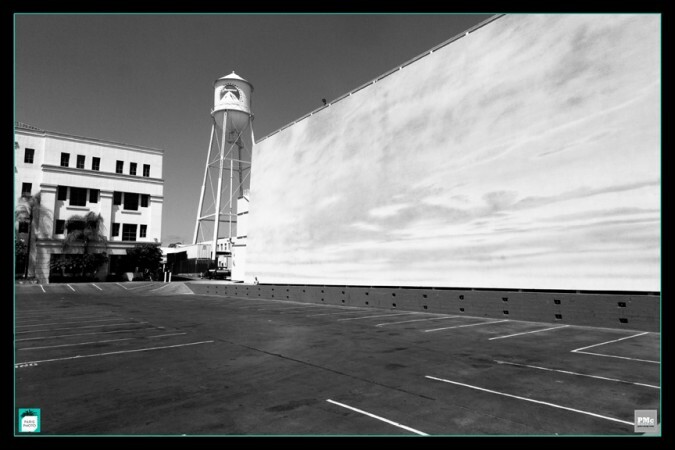 A Paris Photo backdrop stands near Stage 3 on the lot of Paramount Studio. 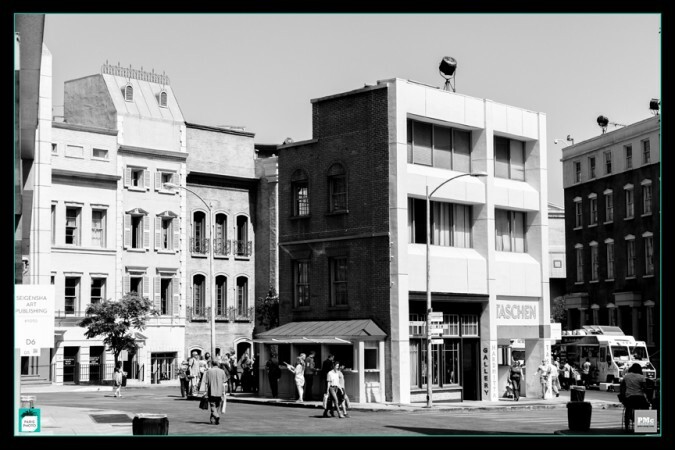 Paramount Studios, having served as a stage for artists and filmmakers for over a century, welcomed more than 70 galleries, international collectors and the photography community to Los Angeles, Photography by Samuel-Christophe Tedjasukmana.